The Dominican Order has strong democratic roots going back to the time of Dominic. 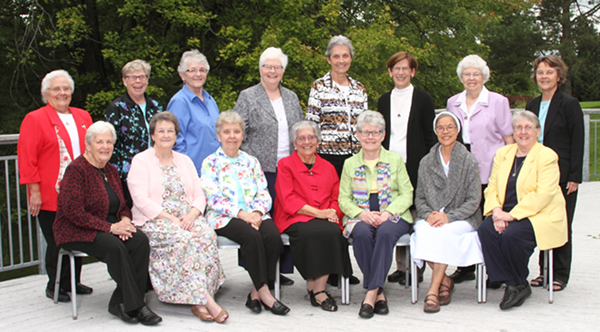 Every six years, the Adrian Dominican Sisters hold a “General Chapter” during which the Sisters make decisions that set the future direction for the Congregation. At that time, they also elect leaders to carry out the Chapter mandates. The Congregation is led by a Prioress (“president”) and General Council, which includes a Vicaress (“vice president”), Administrator, and two other Councilors. Our current General Council was elected in 2016 and will serve through June of 2022. Elise García, OP, General Councilor. 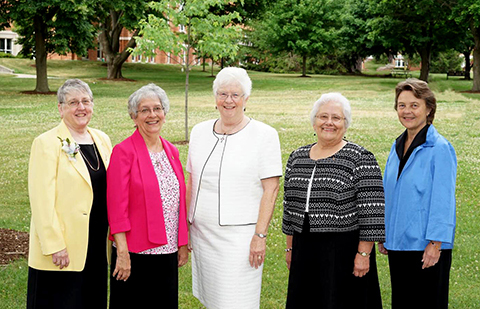 Another group of leaders—Sisters elected regionally to serve as “Chapter Prioresses”—join the General Council three times a year, forming the Leadership Council. Currently, eight Sisters serve as Chapter Prioresses; the Leadership Council also includes a Sister who serves as the appointed leader of Sisters who are no longer able to participate in governance, and the Secretary of the Congregation. Members of the Leadership Council are, seated from left, Pat Dulka, OP, Lorene Heck, OP, Joy Finfera, OP, Patty Harvat, OP, Joanne Peters, OP, Rosita Yaya, OP, and Frances Nadolny, OP; standing from left, Mary Margaret Pachucki, OP, Mary Jane Lubinski, OP, Kathleen Klingen, OP, Prioress Patricia Siemen, OP, Mary Ann Caulfield, OP, Carol Jean Kesterke, OP, Nadine Sheehan, OP, and Elise García, OP.